On November 11, 1918, at 11 a.m. the fighting of World War I finally ended as had been decided in an armistice signed by the Allies and Germany earlier that morning at 5 a.m. Although Germany still held some Allied territory, its army and people were exhausted, starving, and losing hope. While Germany struggled to replace its fallen and deserting soldiers, the Allies were receiving American reinforcements at the rate of 10,000 a day. At home, unrest had broken out, and the Kaiser lost the confidence of the army, forcing him to abdicate on November 9. Added to that, Germany’s allies—Bulgaria, the Ottoman Empire, and Austria—had already signed armistices between the end of September and early November. German representatives met with the commander in chief of the Allied armies, Ferdinand Foch, in a railcar about 40 miles northeast of Paris and signed the armistice on November 11. However, fighting between the two sides continued in some places between 5 a.m., when the armistice was signed, and 11 a.m., when the fighting was scheduled to stop. While the armistice ended the fighting, the war technically wouldn’t be over until Germany and its allies signed peace treaties. Representatives from dozens of countries (excluding Germany, Austria-Hungary, the Ottoman Empire, and Bolshevik Russia) met beginning in January 1919 in Paris to formulate the treaties, though discussions were dominated by Britain, France, and the United States. The Treaty of Versailles between the Allies and the Germans, signed June 28, required Germany to accept responsibility for the war and to pay reparations to the Allies. Germany also lost some of its territory and all of its overseas colonies and had to reduce the size of its navy and army. The German representatives had little choice but to sign the treaty, as the Allies were blockading German ports until a treaty was signed. 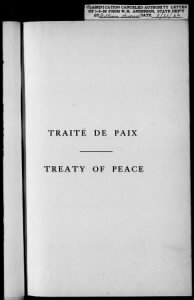 Today, historians commonly agree that the terms and effects of the Treaty of Versailles sowed the seeds for World War II. Did you have ancestors who fought in World War I? Tell us about it! To learn more about the conflict, you can also explore Fold3’s WWI titles, including newly added international titles from the United Kingdom and Australia. Can anyone enlighten me as to where I might find records for a man from Ireland who lost his life fighting with the American Army in WW1? I have tried ancestry but can’t find any lit of casualties from American Forces. Hi yea I have a lot of ancestor who fought in war war 1 and 2 and the revaluation war.Richard Kissee fought in the revolution war .Samuel martin Burton caught in war war 1 .who is my grand farther.Ollie Burton who my uncle fought war war 2..Benson Davis who caught also in war war 1.who my great uncle.and Elijah Kissee who I think was was in war . Looking for a picture of my grandpa Samuel Martin Burton who serve in war 1. My grandfather, Franz Obermayr, was an Austrian soldier in WWI, fought on the Russian front, was captured and sent to a Siberian work camp, and died of a heart attack on the day he was released “at the end of the war.” After reading comments about the war continuing in Russia until 1920, I’m now wondering what year he probably died in and also where in Siberia. He was 38 years old in 1914 and had been a successful architect before being forced into the army. My grandfather James Nelson Platt Sr was wounded in WWI and wrote a journal during his experiences. You can find his book by searching in the Library of Congress as they asked us to provide them a copy for the Veterans project. I’ve been searching in vain trying to find info on my great-grandfather James Bruce who lost a leg fighting in WWI for the British army. Not enough information. DOB and location would help. I found several James Bruce thru MyHeritage but info is limited. Thank you, Mike. The website you directed me to was very enlightening. It helped me to better understand what was going on in Russia after WWI. It’s no wonder that my grandfather’s family knew so little about what happened to him.